The day I took the call to work at a pig-roast at Heathrow Airport, I was very surprised indeed, and intrigued as to how that might work. But, details were soon forthcoming from the owner of one of Heathrow’s in-terminal restaurants. This particular restaurant is situated in the Terminal before security, so all passengers and visitors would have an opportunity to visit his establishment. Prior to Heathrow becoming the largest international airport in the world, the town of Heathrow was a quaint community of farms, pubs and small streets. Most of the residents were bought out in the time before the airport’s construction began in 1944. However, prior to that time, in 1929, a smaller airport stood on the grounds of what was to become the current airport and was known as the Great West Aerodrome. I have been a caterer for many years now and so this challenge, when presented, seemed a little strange. A pre-check of the facilities, however, indicated that ventilation was plentiful and spit-roasting meat in their kitchen would not pose a problem. I only had to manoeuvre my Titan into their somewhat restrictive quarters. However, this is where the sheer versatility of these machines comes in. 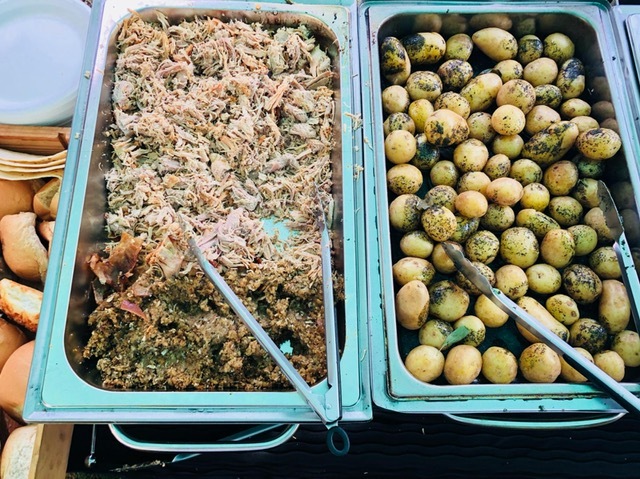 Using the Titan, or in fact, any of The Spitting Pig Company’s hog roasting machines, means the caterer is able to easily move the machine into place. The caterer can take the machine wherever it is needed for any public or private event. As well, roasting whatever meats they are asked to serve is not a problem as the Titan can cook a few different types of meat at the same time because there is a spit-roasting attachment. There is also an internal oven for other meats as well as roasting vegetables, should they be required. The design of the machine itself is truly a work of art in terms of looks and functionality. Happily, hog roast Heathrow was on its way. It was only a few years back that I decided to buy myself a hog roasting machine. Once I looked at what was on offer in the world of hog roast hire and purchase, I chose to do business with The Spitting Pig Company. 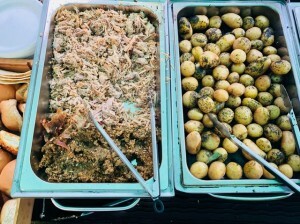 My decision to specialise in hog roast catering was due to the ever-growing popularity of hog roasting at all types of events. Since I bought the Titan Hog Roaster, I’ve never looked back. I’ve been too busy! Spit-roasting is affordable, fresh, and can be a very healthy way of eating. The meat cooks on the spit which allows the fats to drip off the meat. This means you eat very little of the fat that the meat produces, but because of the nature of the cooking process, you lose none of the moisture, so meat remains tender and juicy. I always use meat that is as locally-sourced as possible but this time the restaurant owner produced some beautiful pork sides and whole chickens as well. The meat was all of exceptional quality which was enhanced perfectly by my working with the best hog roasting machines available. The spit-roasted meat was offered throughout the day and served by the restaurant’s own staff, so all I needed to do was concentrate on the cooking process which is simplicity itself. We probably served at least a couple of hundred people in this way. 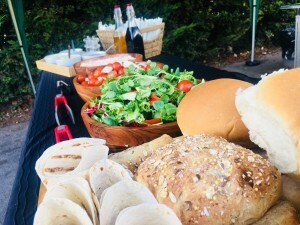 The Spitting Pig Company also offered a variety of different hog roast hire Heathrow packages which I often take them up on if I’m asked to cater a large event. 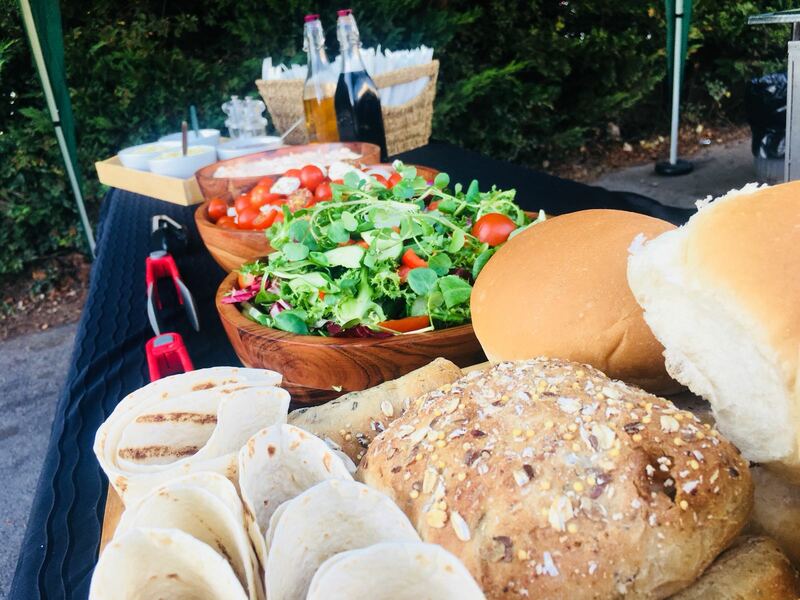 They specialise in not only producing professional staff to assist with serving, but also additional machines, and even menus with a variety of choices from salads to desserts. 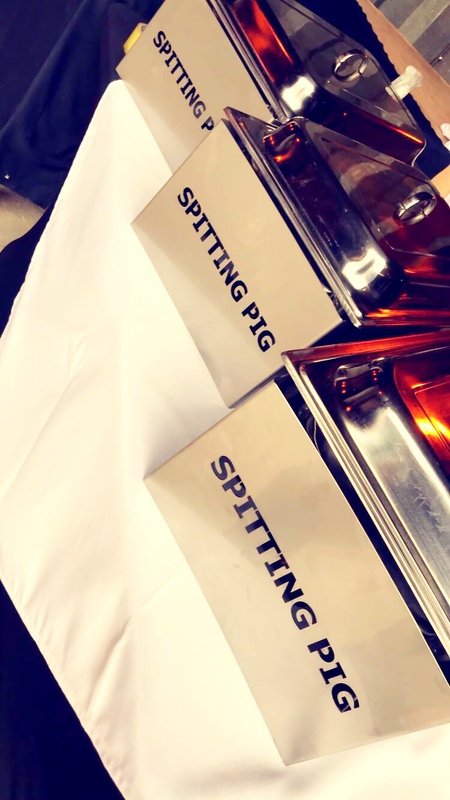 The Spitting Pig Company’s hog roast hire Heathrow packages are exceptional in terms of flexibility, affordability, and efficiency. As usual, we arrived earlier than the event in order to ensure the meat was properly prepared and ready to be served as the customers arrived. The restaurant made sure there were a good variety of sauces and condiments, applesauce, and sliced stuffing. There were also several different types of rolls available for sandwich-making. Hog roast Heathrow turned out to be very workable and popular with everyone. The positive feedback was inspiring. The actual cooking process is so easy on Spitting Pig-manufactured roasting machines that the meats practically cook themselves. The Titan Roasting Machine paid for itself after only one or two events. They are reliable, worthy assistants and an integral part of my very successful catering business.